Margaret Minnicks has been writing for HubPages for a long time. She is an expert about a variety of subjects she writes about. People don't set out to use household products wrong, but they do because the products don't usually come with instructions. Consumers have to figure out on their own how to use them. Needless to say, there are many products that are used in the wrong way or have features that are not used at all. See how many of the products listed below you have used the wrong way. The holes on both sides of aluminum foil boxes are there for a reason. Nine out of ten consumers either do not know the feature is there or just don't use it. The cardboard should be pushed in so the roll can stay in place. 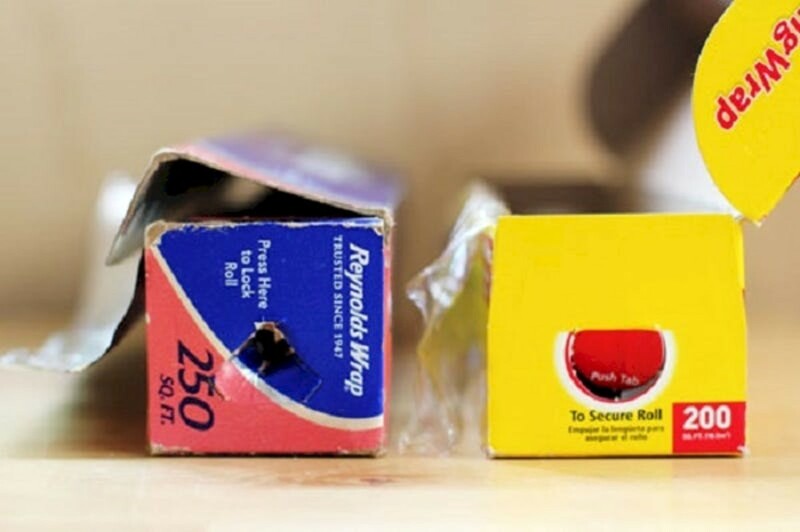 Simply locate the words "secure roll" on both sides of the box as shown in the photo above. Then press the tabs so the roll will stay in place and paper will tear easily from the roll. Most people think the hole in the handle of a pot is there so the pot can be hung on the wall. There is another way to use the hole. How many times have you had to look around to find something to do with the spoon after stirring a pot? Stick the handle of the spoon in the hole in the handle of the pot, and you will have an instant spoon rest. You might not have noticed the hole in the middle of your spaghetti spoon. It is there for a reason. That hole is to determine how much spaghetti to cook per person. 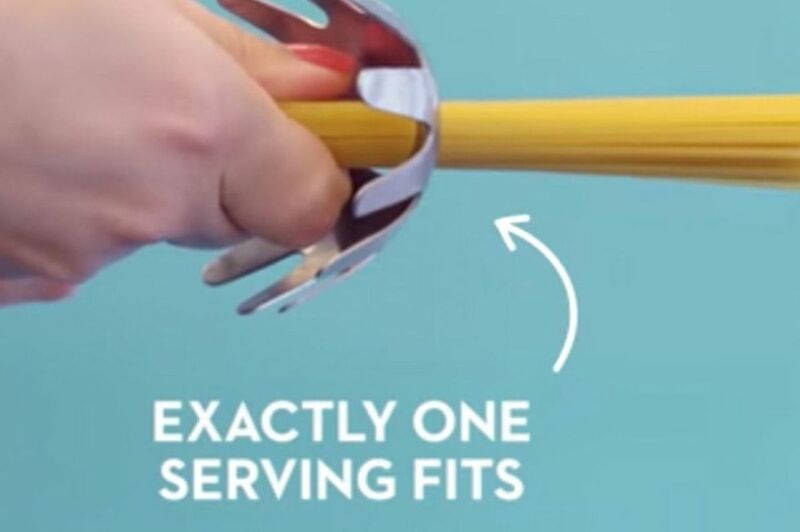 The hole in the spoon will keep you from cooking too much spaghetti or not cooking enough. Begin to use the hole in the spoon to measure the exact amount of spaghetti you need to cook. 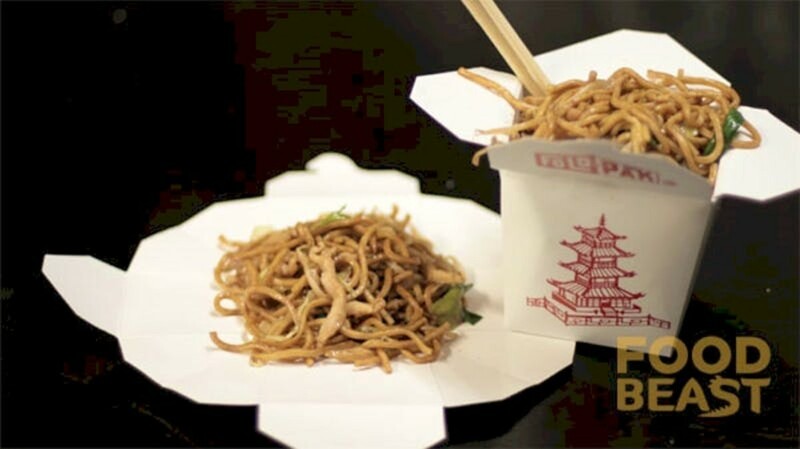 Does anyone ever use the Chinese takeout containers the way they were made to be used? 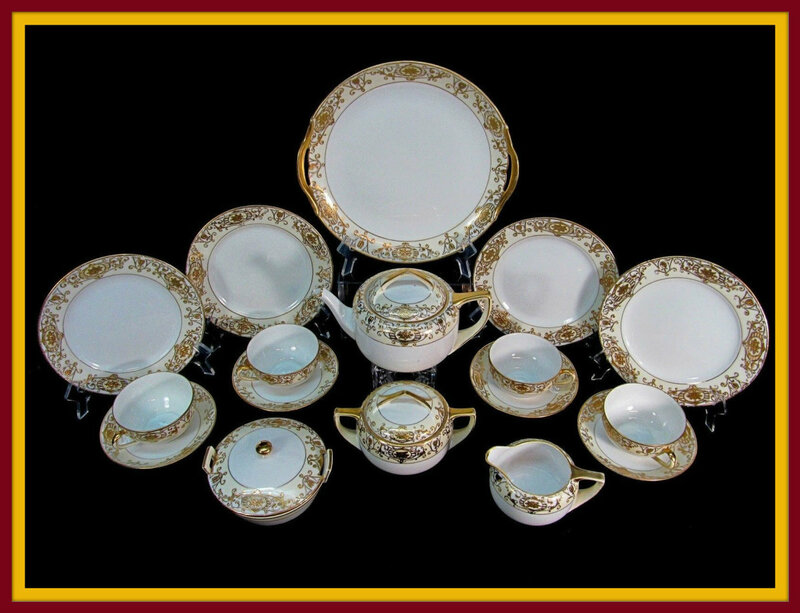 They were designed to fold out into plates as shown in the photo above. 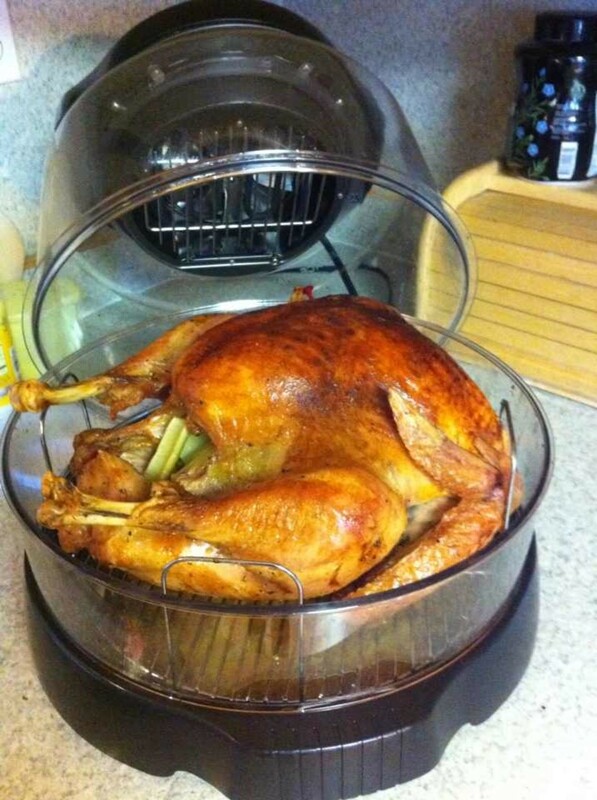 After using the makeshift plate, it can be re-assembled to the original shape to store leftovers. We often see actors on television and in the movies eating Chinese food directly from the box instead of using the box as a plate. Most people don't store jars of natural peanut butter with the top down. 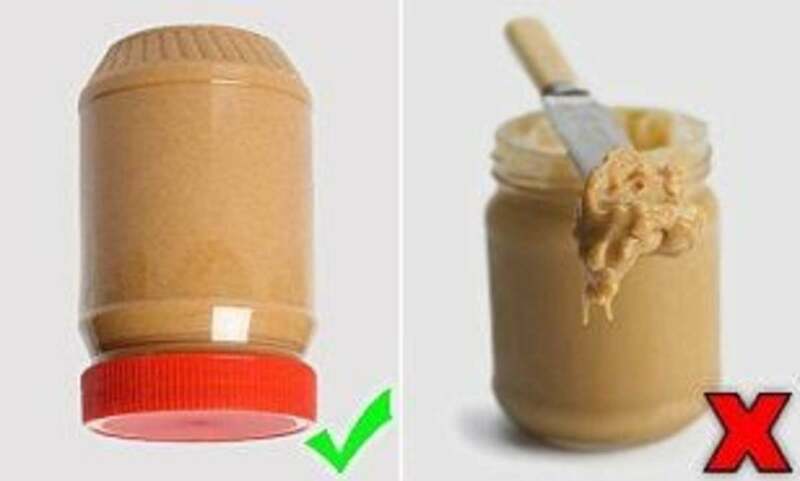 Jars containing natural peanut butter should be placed in the refrigerator upside down so the oil will be on the bottom when the jar is opened. Unless you store the jar upside down, the oily side will always be on top. 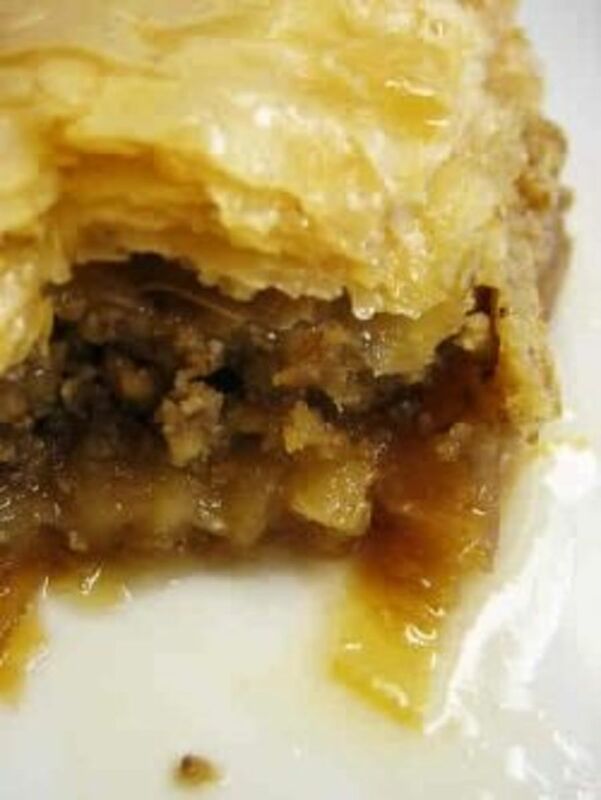 The rest of the peanut butter will be clumpy and you will have to stir it to make a good mixture. 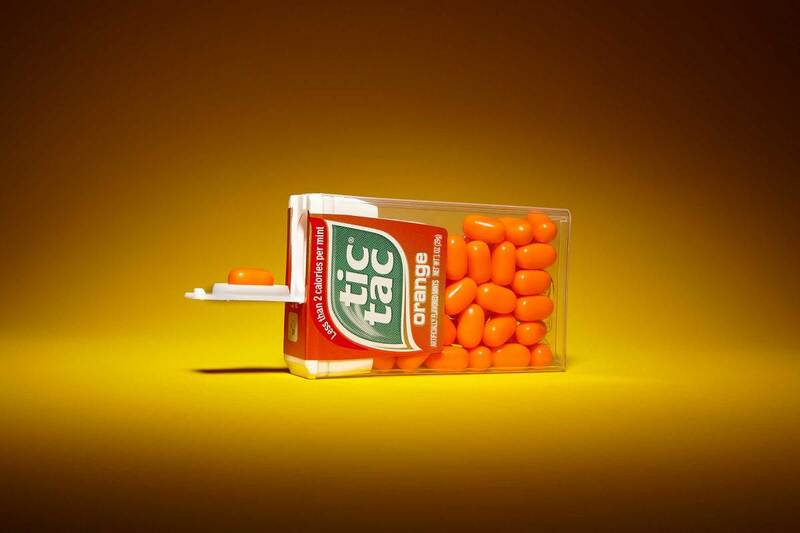 Stop shaking a container of Tic Tacs just to get one into your palm. Simply let one of the mints glide gently into the tiny lid that's there for a reason. You will see that only one will come out instead of six or seven that you have to put back into the container. 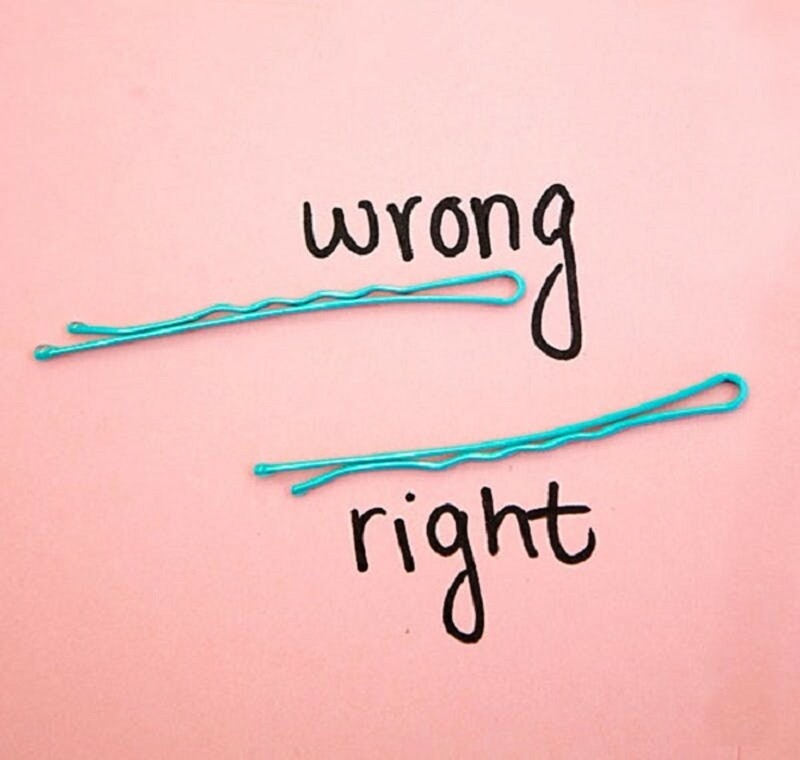 Almost all women use bobby pins the wrong way. Bobby pins should be used with the wavy side down to grip the hair and keep it in place. However, many people pick up the bobby pin and put the long smooth side down next to their hair. If you do it the correct way once, you discover that it works so well that you will never use the long side down again. Almost every household has a ceiling fan. In fact, some houses have more than one. Homeowners know to use their fans in the summer. However, ceiling fans can be used all year round by simply flipping the switch so the blades will change direction. 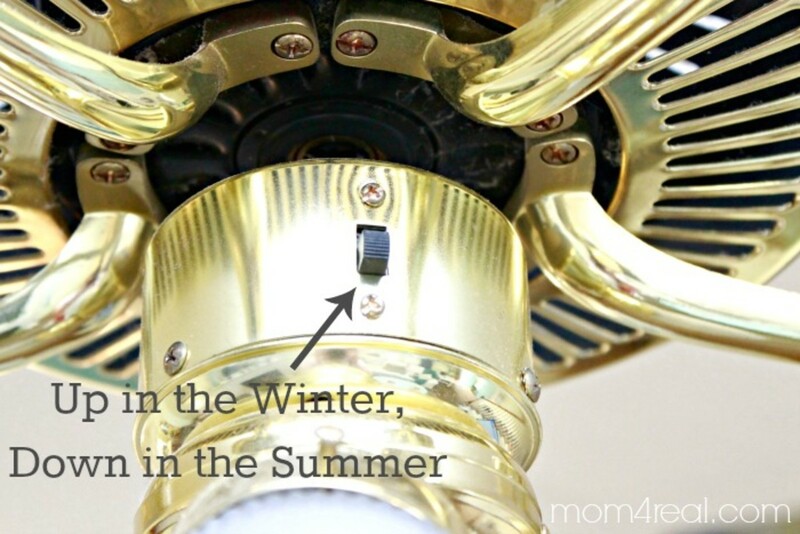 There is a switch on the fan that can make the blades go in one direction for summer and another way for summer. Push the switch up in the winter to make the blades spin clockwise to cause heat to rise to the ceiling. Push the switch down in the summer so the blades will spin counter-clockwise so cool air can circulate throughout the room. Flip the switch so you will be comfortable with air in summer and heat in the winter. This is one of those times when flipping the switch is a good idea. Your toothbrush is really smart. The color of the bristles let you know when to replace your toothbrush. Even your own dentist won't tell you this, but the colors of the bristles on your toothbrush indicate when the toothbrush should be changed. Usually, there are two colors on the white bristles. 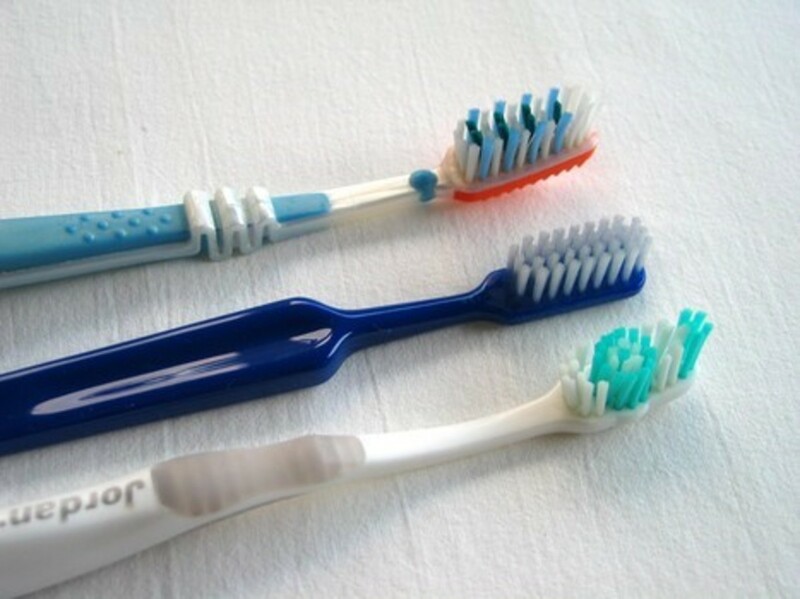 When one color begins to disappear or fades into the second color, the toothbrush should be replaced. This happens after about three or four months. You might forget when the change is needed, but your toothbrush knows when it should be replaced. 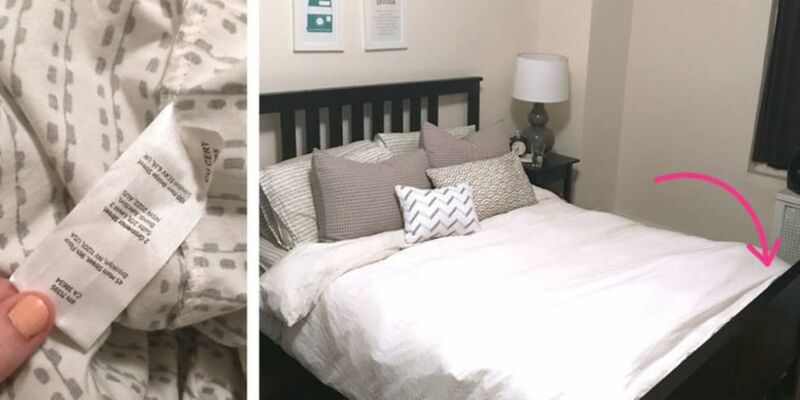 Save time and patience by locating the tag on your fitted sheets. Instead of using trial and error to put clean sheets on your bed, find the shorter end. The tag always goes on the bottom right side of your mattress. The fitted sheet will fit perfectly. There might be a reason the plunger you are using doesn't do the job on your clogged toilet or sink. Most people use the wrong one. All plungers are not equal. There are three types of plungers. The flange plunger is for toilets. The accordion plunger is also for toilets. The cup plunger is for the kitchen sink. There will be no need to call a plumber that will cost you more than the price of the right plunger. Left plunger is for a clogged sink. Right plunger is for a clogged toilet. The products listed in this article are some of the ones I have been using wrong. Feel free to admit it if you have used some of those products the wrong way just as I have. Add a product in the comments section below that you have been using wrong that is not listed or if you know about a product others are using wrong. Review on Household Uses for Aluminum Foil - Does it Work? 5 Simple and Easy Cat Toys to Make at Home : Make Your Cat Chase String for Hours! Tracy Lynn Conway, try the aluminum foil tip. I just recently discovered it and have begun using it. It is really a cool idea. Very enlightening tips! I can’t wait to try them out.